Social media is one of the most powerful tools for brands to connect with the public and target customers. Due to the increasing competition and the fact that people are getting more accustomed and less impressed with traditional social media marketing strategies, innovativeness has become crucial. Here are 5 inspiring Chinese. We hope that you’re intrigued by what these brands have created. Strategic marketing campaigns aren’t as effective in this information-overloaded age. People are over-whelmed by all eye-catching information coming at them. To take advantage of events that get a lot of attention and capture some of that attention for a brand or it’s products has become more powerful than creating strategic campaigns. When Momo, the largest Chinese instant messaging app, went public in America, Netease made an announcement indicating that their former employee, Tangyan, who is now the CEO of Momo, acted illegally during the time he worked for Netease. Netease said that Tangyan had conducted illegal dealings that benefited his wife’s advertising company when he was chief editor of Netease. Although Momo has not responded to this accusation, many brands have put considerable effort into using this high-profile incidence as marketing material. Jiayuan.com, China’s largest matchmaking website, has led the wave; took a sarcastic approach and it’s used the relationship and breakup between Netease and Momo to promote their own service of helping you looking for the true love. A topic that’s humorous, high recognizable, will create a strong imprint on the public’s memory. If brands include these memorable and timely topics in their marketing campaigns, the effect is considerable. The ‘Mom, please slap me again’ (sounds so hilarious) comics have a huge number of followers, especially among the post-80’s generation. The characters are picked from old textbooks the post-80’s generation used when they were little, and the funny situation it creates reminds every post-80s person when they were ‘taught a lesson’ by their parents. Sunny Appliance has made great use of this laughing point by inserting their ‘Double Eleven’ slogan; ‘A fool you will be if buying things without comparing, Sunny Appliance Online, the cheapest ever’. 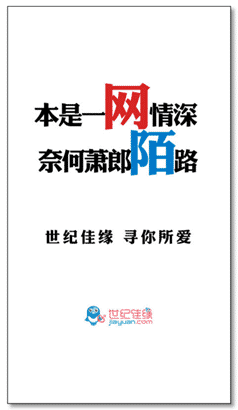 It has even made a negative version about their competitor TMALL in their iconic branding color. This trendy idea has created a great buzz for the brand and brought many followers and shares on different social media platforms; some users have made their own versions to ridicule the two brands. Sunny has increased brand awareness and promoted their brand mission and purpose. Can an upgrade for a mobile app be thoughtful? 360 Mobile assistants, a subsidy of 360 PC assistant took nearly 2 weeks to review 130,000 colors and ask for advice from a top Chinese painter to pick a suitable theme color for the upcoming version. Despite the long story the brand related for their color selection and the explanation that Maldives Blue presents a feeling of warmness and youth that perfectly suits the updated app; the process has brought a ton of attention to the upgrade, and, even more, attention to the product and brand. We’re not sure how much a well-selected theme color will benefit the new version. To release the whole selecting process to the public and highlight how much care has been put in to achieve the final goal seems a smart new way to market the product and gain public attention through social media. Users nowadays are more interested, aware and involved with the brand development and decision-making process. Zero cost, incredible coverage, a huge amount of donations, widely adored and boasting of key opinion leaders celebrity participants around the whole world, the ALS Ice Bucket Challenge raised $11,400,000 US in less than 1 month (29th July to 20th August 2014). Globally, it’s been described as the smartest social media marketing campaign so far. Viral marketing, the key element behind the popularity of this worldwide event, has become an innovative social media strategy marketers’ like to study. If we look closely at the popularity of the Ice Bucket Challenge, we’ll find many tricks that were employed to push this campaign viral. First of all, celebrities and KOL’s are important to spread the name and information. The real brilliance of the ALS Ice Bucket Challenge is that it created an excellent reason for top-tiered elites to participate and a perfect excuse for KOL’s and celebrities to show off, build their brand and fame and bring recognition to their business. Reward was the second key to its popularity. The campaign was easy with almost no threshold for participating is another important reason this campaign went so dramatically viral in such a short time. Virus campaigns need to reach an audience emotionally. Looking at the campaign, we found whether it was about raising money to save ALS patients, or giving a chance to the public to laugh at celebrities and their embarrassment, both the participants and watchers were affected emotionally by the cause before and after the campaign. That’s why so many people re-tweeted or re-shared the campaign throughout their social media platforms. Haier Group in China is famous for its long history and appliance equipment, and because of a comic series it invented. The comic series was the most popular comic for almost every post-80’s person and was a part of their childhood. Since that generation has grown up and has been affected by some culture issues, such as homosexuality, the 2 boys from the comics seem more and more interesting due to their ‘So Close’ relationship. We can’t say that Haier did it purposely. They’re using the image for their brand logo on social media. Haier Group has the same logo of the 2 boys since the comic was created. They think the kids need to grow up as well. This idea has drawn its fair share of jokes from the post-80s society, who are also the main users of the social media platforms. They have been so excited to finally realize the ‘evil thoughts’ of the 2 grown boys. 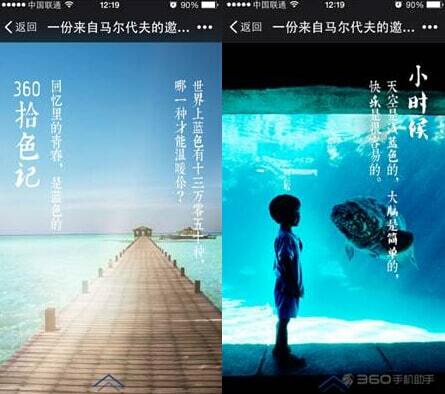 Though Haier Group has announced there was no suitable new image received at the end of the campaign. They were strict with the submissions, many of the inappropriate ones were deleted by Haier group staff right away. The campaign has gained the attention of millions’ making the brand a hot topic one more time. Do you have a unique? Please share it with us. Olivier Verot contributes a monthly column on Chinese Social Media. Olivier, who describes himself as, "A French man lost in China for several years," speaks Chinese, reads Chinese, and uses Chinese social media almost everyday. Passionate about Digital Marketing, in 2012 he realized his dream : to open an agency to live from his passion. Olivier likes to share his knowledge with others, exchange ideas, and is always open to meeting new and interesting people in Shanghai. So basically, just do all the same things you do for social media in the US and every other country… none of these things seem to be specifically for Chinese social media (not that that’s a bad thing). Hi, I have sent you/Neal an email regarding Todd’s comment. Please let me know if you have received it? We do not remove comments on behalf of others. They need to personally request it of us. Thank you for your understanding. Looking to Better Leverage LinkedIn? Download Our Free New Ebook!